2016 marks the 10th birthday of Blu-ray. However, many of us are still pretty baffled about the difference between DVD and Blu-ray discs. Many still ask, "Should I buy a Blu-ray player or a DVD player?" or "Should I buy DVD Disc or Blu-ray Disc?" I cannot answer these questions with single word. But read on, I'll give you a helping hand with a brief comparison. Before going to the details, I think a table can give us an overview. Notice: HD-DVD was officially discontinued on February 19, 2008. Thus, in the following paragraphs, I will mainly focus on the standard DVD and Blu-ray. The key difference between DVD and Blu-Ray disc is capacity – how much information each disc can hold. Blu-ray can hold five to ten times more information than that in a standard DVD. What this will affect the video or movie we watch? Simple. The more space you have, the less compression the video has to go through to be small enough to fit on a disc. Therefore, usually the image and sound quality is so much higher on a Blu-ray. Due to the larger storage capacity of the Blu-ray disc, it can hold much more video and audio data, allowing for much higher quality of video and video. However, can a regular home video consumer actually recognize the difference between a DVD and a Blu-ray? At most of the time, the answer is "YES". DVDs have an intrinsic resolution of 720×480 pixels (NTSC) and 720×540 pixels (PAL), while Blu-ray is 1920 × 1080 (1080p). As you can see, 480p is a whole lot less than 1080p. The extra resolution can make Blu-ray look sharper, more detailed and more realistic. You will notice this difference easily. So in what condition the answer is "NO"? If you buy a Blu-ray new movie release after the appearance of Blu-ray, you can be confident in its quality. However, you may find that an 1980s movie on Blu-ray doesn't look much different from the DVD. Blu-ray Players Vs DVD Players: Which One Should I Buy? If you have an HDTV, we strongly recommend you buy a Blu-ray player rather than a standard DVD player. Blu-ray player can play your old DVDs, but DVD player cannot play Blu-ray disc. Many Blu-ray players come with built-in Netflix and Amazon streaming. You can buy a DVD player and DVD disc at lower price. Non-HD (or SDTV) televisions only display up to 480 lines of resolution. In this condition, connecting a Blu-ray player to an SDTV is a waste of resolution and money. There are a whole bunch of movies not available on Blu-ray yet. When making a decision to buy a DVD player or a Blu-ray player, you should consider again whether you have to buy one of them. As downloading and streaming movies is becoming more and more popular, many are choosing to simply use their computer or Smart TV for streaming movies from Netflix, Apple TV, Vudu, etc. Have you got a clear idea about the difference between DVD and Blu-ray? Can this post help you make a decision to buy a DVD disc or a Blu-ray disc? Certainly, Blu-ray is a good choice for enjoying high quality movies. Aside from buying DVD or Blu-ray disc on the marketing, have you ever imaged to create DVD or Blu-ray videos by yourself? With DVD Creator, you can easily have this job done. 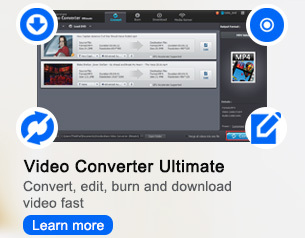 Just import the videos or photos you want to make a DVD or Blu-ray disc, customize the DVD menu and then you can burn them to DVD to Blu-ray disc. Download it and have a try now.